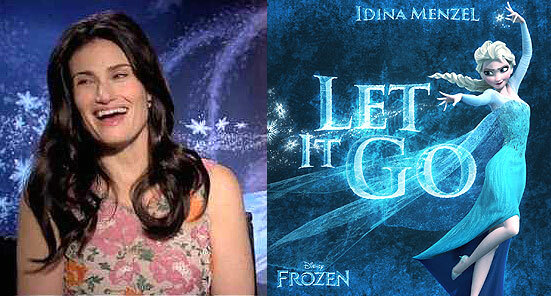 ‘Frozen’ Superstar Idina Menzel known for singing “Let It Go” is coming to Jones Beach on July 17! T here’s absolutely nothing frozen regarding Idina Menzel’s current hot streak (except, of course, that Disney smash she brought to musical life). The Tony Award-winning actress/singer announced today she’ll be trekking the globe in a 2015 tour, with more than 40 stops in North America alone. The multi-talented performer, who voiced the lead character Elsa in Frozen, has made history as the first person with both a Billboard Top 10 hit and a Tony Award for acting. Menzel earned her first Tony nomination as Maureen in the Pulitzer Prize-winning musical Rent, and won the award for her performance as Elphaba in Wicked. Other notable roles include Rachel Berry’s mother, Shelby Corcoran, on the hit television show Glee as well as starring opposite Susan Sarandon and Amy Adams in Disney’s Enchanted. Menzel was born Idina Kim Mentzel in New York. She grew up in Syosset. Her mother, Helene, is a therapist, and her father, Stuart Mentzel, worked as a pajama salesman. She has a younger sister named Cara. Menzel’s family is Jewish; her grandparents emigrated from Russia and elsewhere in Eastern Europe. When Menzel was 15 years old, her parents divorced and she began working as a wedding and bar mitzvah singer, a job which she continued throughout her time at New York University’s Tisch School of the Arts. Menzel, however, did not have a bat mitzvah after she quit Hebrew school. Menzel attended Syosset High School.